When the Sheriff's department turned over evidence to Zahau family attorney Anne Bremner, it came with a warning. CORONADO, Calif. (CBS 8) - It's been more than a month since the San Diego County Sheriff's Department turned over its case files to attorneys representing the family of Rebecca Zahau; the woman who died at the Spreckels mansion in Coronado. The Sheriff's records include extensive written reports, as well as audio and video recordings of witness interviews, 911 calls, and a polygraph examination. The records have been in possession of Zahau family attorney Anne Bremner since the end of October but not a single document has been released to the media or made public. 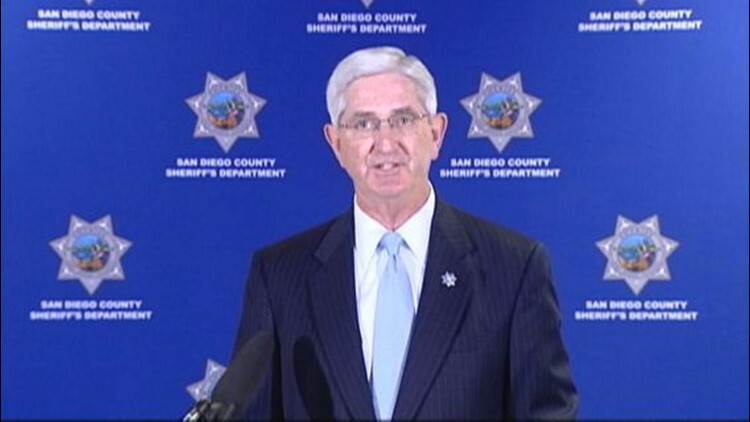 The reason, according to Bremner, is a letter she received from San Diego Sheriff Bill Gore. News 8 obtained a copy of the letter – dated October 27, 2011 – from the Sheriff's Legal Affairs Unit after submitting a request under the California Public Records Act. The two-page cover letter accompanied boxes full of Sheriff's homicide case files, which were released to the Zahau family under California victims' rights law. For seven weeks, Sheriff's detectives investigated Zahau's death and eventually ruled it a suicide. The 32-year-old was reportedly found bound, gagged, naked and hanging from a balcony on July 13. Zahau's family believes she was murdered. The Sheriff's case files contain a detailed investigation into Zahau's background and some of the information is extremely personal. "The files that you will be receiving will not be released to the public, to the media, or anyone else, unless there later develops a law enforcement necessity to do so." "This decision, however, may be re-evaluated if it becomes clear that parts of the investigation have been released to the media and to the public 'piecemeal', and that such a selective release of portions of the investigation has presented our investigation in a false light." "Please understand that we have no desire to intrude on your client's right to speak freely about, or even criticize, the investigation completed by this office." "…if portions of the investigation are selectively released to the media and to the public in a way that falsely represents the work performed by the Sheriff's Department, we will correct the false portrayal by opening the entire investigation for public scrutiny." First Amendment attorney, Guylyn Cummins of San Diego, is not affiliated with the Coronado death investigation, but she was taken aback when News 8 showed her the Sheriff's letter. "I personally have never seen anything like this," Cummins said. "I think it's the first time that I've ever seen a law enforcement or governmental agency do this." "What the letter's trying to say is, if you release something and we don't like your viewpoint -- or the information that you rely on -- then we're putting you on notice that we may come back and release anything that we want; whether it's part of the lawful investigation or simply digging up dirt on the victim," said Cummins. Attorney Anne Bremner told News 8 that she considers the letter a threat. Her co-counsel, attorney Marty Rudoy, agreed. "I believe there's an implied threat in the letter that they would release information hurtful to the victim and her family," said Rudoy. "It has chilled our willingness to release relevant information to the media that would help the public determine what happened in this case." In an emailed response, a Sheriff's spokesperson acknowledged there is personal information in the Sheriff's case file. "We wanted to state in the strongest possible terms to Miss Bremner some of the materials contained (in the case files) are exceedingly sensitive and personal," wrote Sheriff's spokesperson Jan Caldwell. "We will not release material we would rather keep confidential, unless compelled to do so in response to unfounded or inaccurate assertions." Cummins, the local First Amendment attorney, called the language in the letter "heavy handed." "Law enforcement has had the public opportunity to explain their investigation and their conclusions; and now that they've turned over the entire file to the family, they now want to control what the family's message is," Cummins said. "It's not only a chilling effect on their speech, but it's almost a governmental effort to control the information that is released to the public."